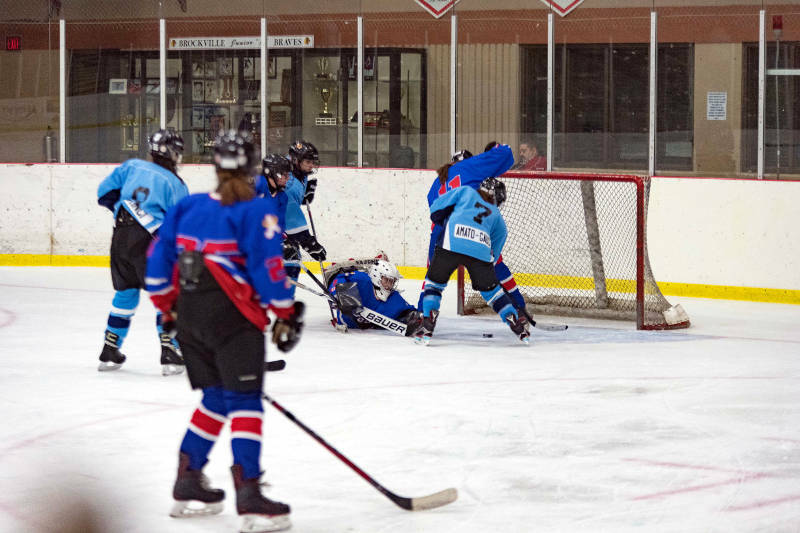 BROCKVILLE – A goal with seconds left on the clock was the only undoing for the Brockville Angels during a weekend hockey tournament. The Angels battled hard Saturday night against the Aurora Blueberries and had the upper hand on the visiting team, leading 2-1 in the final period. But Aurora got an empty net goal with three seconds left on the clock, statistically eliminating the host team due to the 2-2 tie. Aurora went on to play in the semifinals Sunday at the February Freeze Brockville Angels Midget Girls hockey tournament. The games were played at the Brockville Memorial Center.